One of the world's largest fossil fuel companies is betting on electric cars. Royal Dutch Shell (RDSA) revealed a deal on Thursday to acquire NewMotion, one of Europe's largest electric vehicle charging providers. NewMotion specializes in converting parking spots into electric charging stations. The Dutch firm has more than 30,000 electric charge points in Europe. The acquisition, Shell's first in this space, shows how Big Oil is being forced to confront the long-term threat posed by electric cars and efforts to phase out gasoline and diesel vehicles. "This is a way of broadening our offer as we move through the energy transition," Matthew Tipper, Shell's vice president of new fuels, told CNNMoney in an interview. "It's certainly a form of diversification." That may be an understatement. Consider that NewMotion says its founding mission was to "contribute to a cleaner world by eradicating fossil fuels." Now, it will be owned by one of the world's largest fossil fuel companies, albeit one that is investing more on renewable energy. NewMotion CEO Sytse Zuidema said the deal will speed his company's growth by giving it access to Shell's vast rolodex of corporate clients and industry contacts. "We are here not to fuel cars with petrol, but with electricity," Zuidema said. European oil companies, including Shell and rivals like BP (BP) and Total (TOT), have been far quicker than their U.S. rivals to invest in renewables like solar, wind and now even electric car charging. That makes sense because European investors and governments have been cracking down on oil's most reliable customer: the internal combustion engine. Norway, France, Germany and the U.K. have all announced efforts to phase out vehicles powered solely by fossil fuels. Shell is based in The Netherlands, where electric cars are popular and the government has set a target to boost sales even further. "We feel closer to it," said Tipper. "The degree to which electrification is changing mobility is very, very apparent here. It leads to this mindset." By contrast, President Trump has rolled back environmental regulations and promised to withdraw the U.S. from the Paris climate accord. 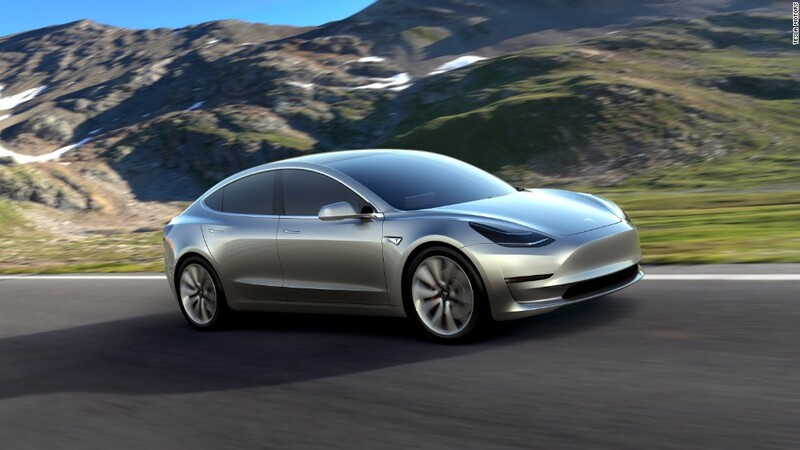 Nonetheless, the rise of Tesla (TSLA) and push by Volkswagen (VLKAF), Honda (HMC) and others into electric cars have negative long-term implications for oil companies. Barclays warned in a recent report that by 2025 oil demand could be lowered by 3.5 million barrels per day due to electric vehicles and increased fuel efficiency on conventional autos. If electric vehicles become one-third of the car market by 2040, oil demand could drop by 9 million barrels per day from today's levels, Barclays estimates. "Somewhere along the way, we will hit peak oil demand. But we're a long ways away from that," said Brian Youngberg, senior energy analyst at Edward Jones. While electric cars have gained in popularity, they remain a small slice of the overall market. Further gains could be limited by concerns about high costs and limited battery life. Still, it makes sense for energy companies to start preparing for renewables now, or else they risk falling behind. Big Oil needs to spend $350 billion on wind and solar by 2035 in order to have their renewable market share match the 12% they current hold in oil and gas, according to consulting firm Wood Mackenzie. Yet ExxonMobil (XOM), Chevron (CVX) and other major U.S. oil companies have not meaningfully invested in renewables. Expect that to change in the coming years.